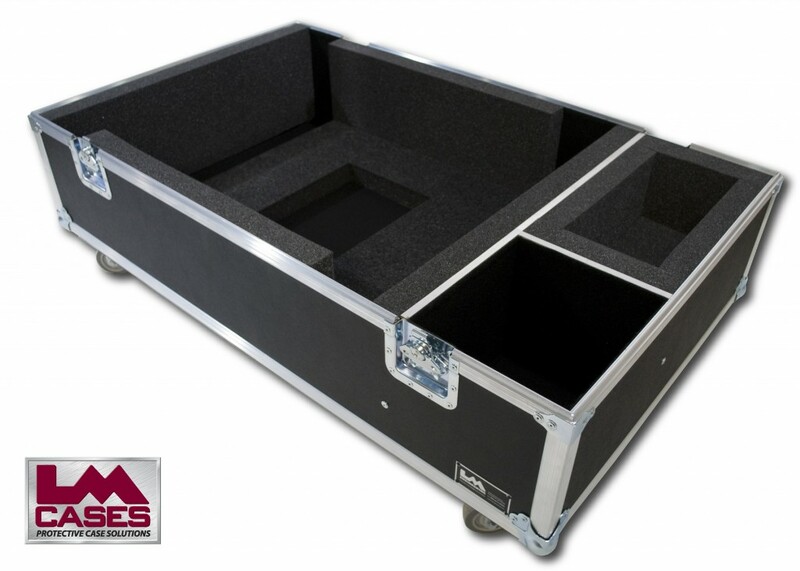 This case was built to hold a Panasonic DZ12000U projector. 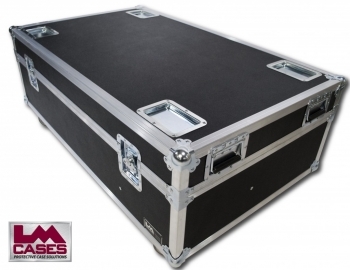 The exterior case features 3/8" plywood, 3.5" casters and stacking caster wells in the lid. The interior case holds the projector in a 2" foam lined compartment, there is also a custom compartment for the ET-D7SLE6 lens.